<< Disabled Adaptation, Bridge View, Ipswich. Project Situation: New build of 19 town houses situated in the centre of Ipswich, Suffolk. 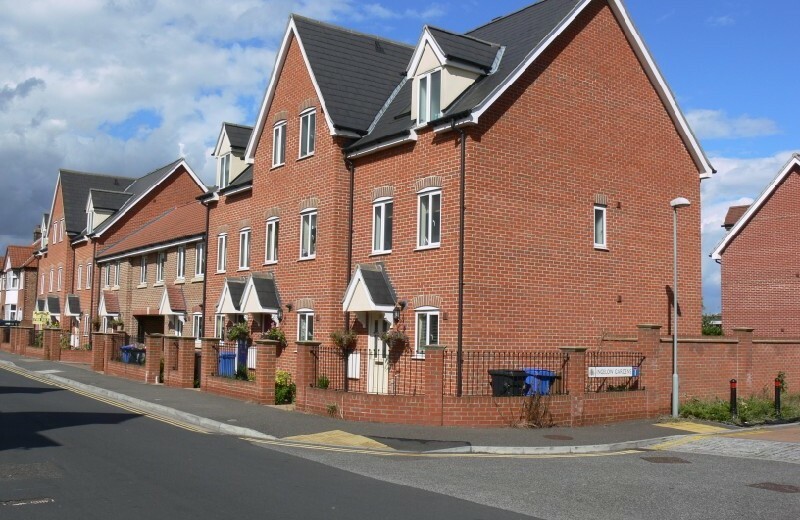 Project brief: To construct 19 new build town houses situated on the tight site off Howard Street, Ipswich. Including all land contamination works and removal of contaminated soil from site, all external and internal drainage. The houses were to be constructed on augered piles and ground beams. Traditional brick and blockwall construction with full fill cavities, and attic truss roofs. The construction of new adoptable roads and external congregational areas, such as a playground were also constructed. Project Solution: Because of the heavily contaminated ground conditions the Engineers insisted on the use of augered piles and ground beams to disturb as little of the contaminated ground as possible, augered piles were used instead of driven piles because of the density of the surrounding neighboring buildings. Points of interest: The original site was heavily contaminated and required the use of various gas membranes within the properties. The narrow road of Howard Street, Ipswich was challenging for deliveries and congestion which posed a problem with size of deliveries and delivery times. 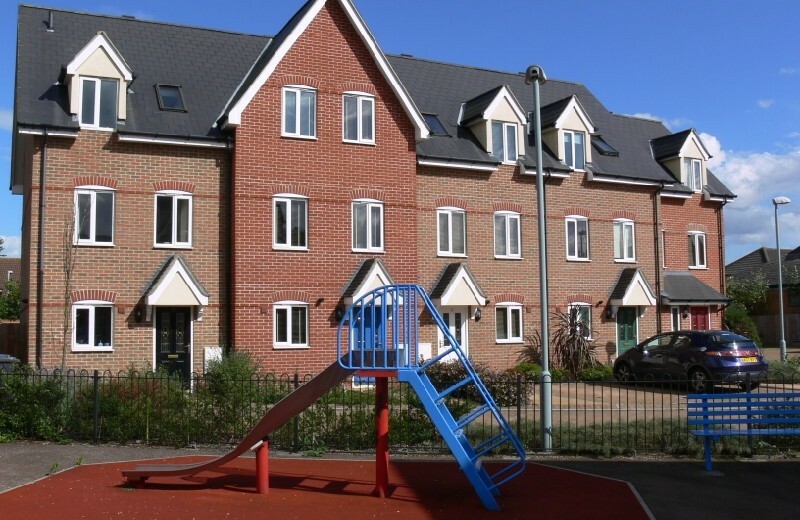 Needhams have also carried out several domestic projects similar to Howard Street in and around the East of England, one of these being a similar project to Howard Street for the same client at Coral Drive and Henniker Road, Ipswich. From the Managing Director of a Property Development Company.